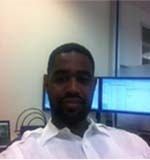 Terrell brings over 15 years of increasing construction responsibility gained through his prior experience in the industry. As an integral component within the Bogan and Associates team and a valuable asset to our clients, his many skills and talents all combined position him to efficiently coordinate and facilitate the progress of each project. Some of these talents include attention to detail within a fast paced environment; communication and organizational talents; motivation to excel with multiple deadlines; plus construction and project management knowledge. Additionally, his current position allows him to provide essential support to the Field Superintendent while interfacing daily with clients, architects and subcontractors. This coordination type brings each aspect of the project together which provides an end result that meets every need of the end user.